The discussion of volume 4 (Prose) of The Complete Works of W. H. Auden on Off the Shelf (RTE, Ireland) touches on Auden's "The Guilty Vicarage," his famous essay on the mystery. 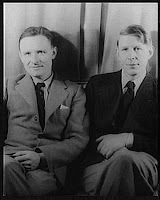 Auden, it should be noted, was the model for sleuth Nigel Strangeways for Nicholas Blake (aka poet Cecil Day Lewis). Lists of Note relates that director Stanley Kubrick and his assistant, Tony Frewin, liked to compile tongue-in-cheek titles for nonexistent films. One was for a potential 1940s noir thriller, Coffin Not Included, which actually sounds to me like a novel by Colin Watson. Josephine Tey on Why I Really Like This Book. 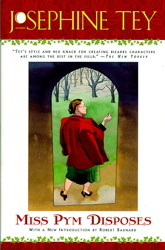 The latest entry in Kate Macdonald's Why I Really Like This Book podcast discusses Josephine Tey's Miss Pym Disposes (earlier entries in this series are on Dorothy L. Sayers's Murder Must Advertise and T. H. White's Darkness at Pemberley). Note that the Touchstone edition of Miss Pym Disposes is introduced by Robert Barnard. 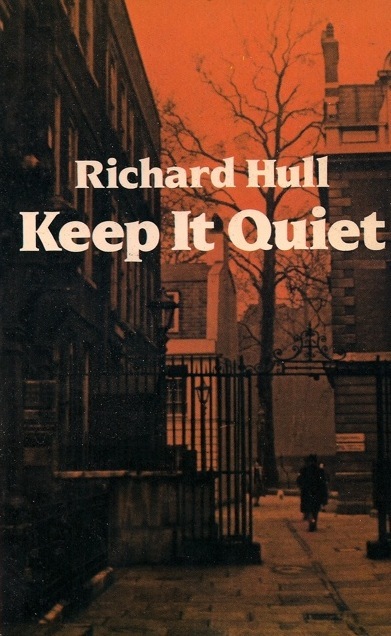 Keep It Quiet, by Richard Hull (1935). The untimely demise of a cranky club member means blackmail and other unpleasantness in Richard Hull's Keep It Quiet (1935). Whitehall Club secretary Ford thinks that he has had a narrow escape from scandal when the distracted chef confesses that he may have accidentally poisoned the perpetually irritating Mr. Morrison and the man's doctor agrees to go along with a verdict of heart failure. But soon typed missives begin to arrive indicating that someone else knows what has happened. They first dictate to the inefficient Ford, somewhat comically, about how the club should be run and then take a more sinister turn. Keep It Quiet is filled with a delightfully sly humor and is a quick, breezy read at 191 pages. Richard Henry Sampson (1896–1973) left the exciting(?) world of chartered accountancy for mystery writing after he read Malice Aforethought by Francis Iles (aka Anthony Berkeley Cox). Under the pseudonym Richard Hull, he is best known for his debut novel, The Murder of My Aunt (1934), although he produced some 14 additional novels after it plus one short story ("Mrs. Brierly Supplies the Evidence," Evening Standard, repr. EQMM Apr. 1952). 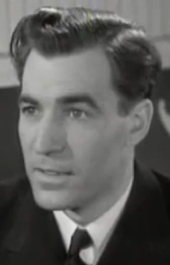 Evidence of his sense of humor may be found in My Own Murderer (1940) where he named a villain Richard Henry Sampson. 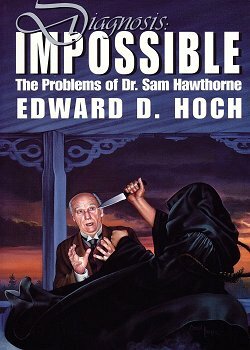 Happy birthday, Edward D. Hoch. MWA Grand Master Edward D. Hoch was born today in Rochester, NY, in 1930. It's estimated that during his career, he published upward of 900 short stories, particularly in Ellery Queen's Mystery Magazine (EQMM). He received an Edgar for "The Oblong Room" and an Anthony for "The Problem of the Potting Shed." He wrote "V-2," a story for me for Malice Domestic 8, and I had the pleasure of meeting this gracious man at one EQMM event. He died in 2008. Ethel Lina White this week on BBC Radio 4 Extra. This week on BBC Radio 4 Extra, Iris Carr (the inspiration for K. K. Beck's Iris Cooper) tries to figure out what happened to an elderly woman on board a train in Ethel Lina White's The Lady Vanishes. Go here for the schedule or to listen online; episodes usually may be heard for up to a week after broadcast. Lucy Beatrice Malleson—aka author Anthony Gilbert, member of the Detection Club, and a cousin of actor-screenwriter Miles Malleson—was born today in Upper Norwood, outside of London, in 1899. She published her first novel, the thriller The Man Who Was London, under the pseudonym J. Kilmeny Keith in 1925. The first Gilbert novel was The Tragedy at Freyne (1927), but the debut of her most well-known character, lawyer Arthur Crook, did not occur until Murder by Experts (1936). 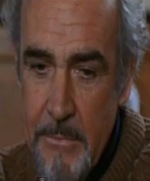 He went on to appear in more than 50 other novels, including Out for the Kill (1960). She also wrote an autobiography, Three-a-Penny (1940, under the pseudonym Anne Meredith); radio plays; and well-regarded short stories such as "You Can't Hang Twice" (EQMM, Nov. 1946) and "The Mills of God" (EQMM, Apr. 1969). Malleson died in 1973. Twain's "Double-Barrelled Detective Story" (1901). 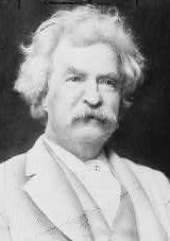 Included in the Morgan Library's online exhibition "Mark Twain: A Skeptic's Progress" are two handwritten pages of Twain's spoof "A Double-Barrelled Detective Story" (1901) with a unique view of The Great Detective at work. In this podcast from the UK National Archives, Kate Colquhoun discusses the first murder on Britain's railways in 1864, when an elderly banker was bludgeoned and his body thrown from the train. The case was a public sensation that involved a Scotland Yard detective who had previously worked with Inspector Whicher (see the Constance Kent, or Road Murder, case), a key piece of evidence left behind in the carriage, and a transatlantic chase of the suspect. 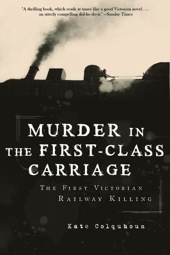 It is the subject of Colquhoun's Mr. Briggs' Hat (US title: Murder in the First-Class Carriage). 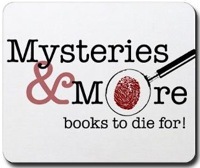 Product of the Day: Mysteries & More mousepad. An appropriate mousepad from the Mysteries & More Bookstore in Nashville, TN. 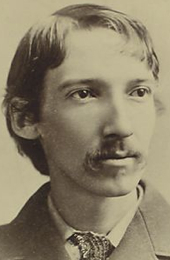 The many sides of Robert Louis Stevenson. The online exhibition "Robert Louis Stevenson, 1850–1894" from the University of South Carolina Libraries Rare Books and Special Collections includes this great cover from Stevenson's "The Body Snatcher" (1884), artwork from various editions of The Strange Case of Dr. Jekyll and Mr. Hyde, as well as some interesting material on the relationship between Stevenson and poet W. E. Henley. Also featured are two portraits of Stevenson (posted here and here) by John Singer Sargent, who told Henry James that Stevenson was "the most intense creature I had ever met." John le Carré at the movies. You can still listen online to the episode "John le Carré at the Movies" from WQXR's Movies on the Radio program. Soundtracks covered include the 1979 and 2011 versions of Tinker, Tailor, Soldier, Spy; The Spy Who Came In from the Cold; The Russia House; and Quincy Jones's score for The Deadly Affair. Richard Marsh's Judith Lee, continued. There's been a lot of interest in my review of Richard Marsh's hard-to-find Judith Lee stories (1912–16) since it appeared as part of Patti Abbott's series on Friday's Forgotten Books. 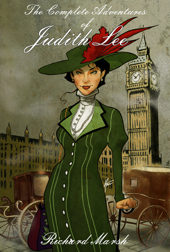 Now Black Coat Press has issued The Complete Adventures of Judith Lee. According to editor Jean-Daniel Brèque, the edition includes the stories collected in Marsh's Judith Lee: Some Pages from Her Life (1912) and The Adventures of Judith Lee (1916), as well as "The Barnes Mystery" (a 1916 story from the Strand magazine). This is welcome news for fans of early female sleuths and Marsh.